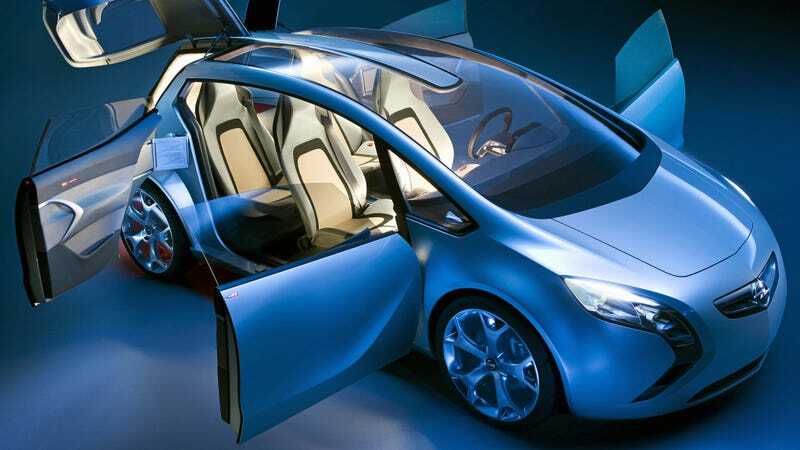 This is the Opel Flextreme diesel concept car from 2007, the same year the EU published its loophole allowing Opel’s defeat device. Two questions stood out immediately as Volkswagen got torn apart in their Dieselgate scandal: why was this European carmaker under fire in America, and why weren’t other carmakers implicated as well? One small loophole might be the answer. Opel confirmed during the meeting that the exhaust treatment systems shut down under certain speed and air pressure conditions to protect the engine, Dobrindt said. So VW wasn’t the only company cheating. But here’s where things are a little different in Europe. VW got busted in the United States for programming their cars to recognize when they were being tested for emissions and then switching to an extra-clean mode of operation. VW used what’s being called a “defeat device,” and this is specifically illegal under U.S. law. What’s strange is that Europe seems to have the same regulation. This EU directive specifically bans defeat systems. And there’s good reason for the EU to have such a provision—European agencies have found evidence of European carmakers cheating on their emissions tests as far back as 2006. That’s nine long years before researchers in West Virginia busted Volkswagen’s American operations. Last year, the European Federation for Transport and Environment (T&E) published this report detailing how Opel, BMW, Audi, VW, and Mercedes-Benz put out five times the legal limit for NOx in the real world while they all pass the EU’s laboratory tests. Not only have EU regulators known that their home carmakers have been cheating with defeat systems for years, they’ve even been aware of which companies have been doing it and to what degree. But T&E also points to what they call “cycle beating,” and that’s what VW got busted for in the U.S. Cycle beating is when you have a defeat system that recognizes when the car is on a test stand and gets the car to run extraordinarily clean. So why have automakers only gotten nailed for cycle beating in America? Well, it appears there’s a small loophole in Europe’s rule agains defeat system, as noted in two recent articles in Forbes. Today’s article, Dieselgate 2.0: Opel’s Counterattack Stalls, And Why There Are No Illegal Defeat Devices In The EU, links back to another article from two days ago, VW, Daimler, Nissan, Mitsubishi, GM: Can We Finally Agree That Dieselgate Is An Industry Problem, which links directly back to this official EU emissions law Euro 6 Regulation EC 715/2007. The use of defeat devices that reduce the effectiveness of emission control systems shall be prohibited. The prohibition shall not apply where [...] the need for the device is justified in terms of protecting the engine against damage or accident and for safe operation of the vehicle. This loophole, as Forbes noted two days ago, is what carmakers in Europe have commonly used to get around the defeat system ban in the EU. Carmakers can specify certain parameters where they can claim they need to run extra dirty for safety. That’s exactly what Opel admitted to today. If they weren’t before, regulators in Europe are now wise to GM’s trickery. How long until we see America’s biggest car company get torn to shreds by the German government, much as Germany’s biggest car company was taken down here in America?